A new survey has revealed customer satisfaction with their energy suppliers has plummeted by as much as a quarter. The research from Ipsos Mori on behalf of Ofgem showed energy consumers who said they were content with their current energy supplier had dropped 23% from a figure of 78% to 55%. On the other hand, distrust in the suppliers has gone up four per cent to 43% this year, with the level of trust dropping five per cent to 29%. 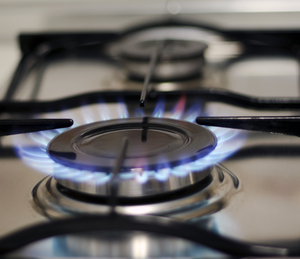 Despite an obvious level of discontent amongst consumers, the level of consumers who actually switched gas supplier fell for the fourth year in a row. Similarly, the level of energy customers who switched electricity suppliers dropped for the fifth year in a row. Earlier this month, Energy UK, the representative of energy suppliers in the UK, actually released a YouTube video in order to try to bust a number of myths related to switching provider. Of course, it is too early to tell the impact of its move as the research was conducted prior to the video launch, although in these times of austerity the prospect of saving as much as £300 on energy bills is certain to turn more than a few heads. To further help customers save money, and cut down the country's carbon emissions at the same time, a number of UK energy suppliers are participating in the Government's Green Deal, offering customers a loan or opportunity to claim cashback on items which improve their home's energy efficiency such as a replacement boiler or wall or loft insulation.